Disability Resources and Educational Services (DRES) plays an integral role in the university mission of teaching, scholarship and active learning by furthering the vision of an inclusive society that supports the attainment of academic, professional and personal goals for persons of all abilities. The department fulfills this mission through programs of student service, training and education. DRES pledges to provide a variety of support services to empower students, foster independence, promote achievement of realistic career and educational goals, and assist students in discovering, developing and demonstrating their full potential and abilities. In order to accomplish this, DRES staff members work closely with faculty to facilitate service requests, serve as a resource for disability management issues and suggest accommodations. Communication: We are committed to facilitating an environment of consistent, open and honest communication that encourages interactive and respectful dialogue. Optimism: We are committed to creating opportunities that encourage the individual journey by modeling positive, flexible attitudes that empower others to be creative and self-reliant and to persevere. Respect: We are committed to demonstrating respect to all individuals equally by building a foundation of mutual trust, acceptance, understanding and accountability. Excellence: We are committed to achieving excellence and continuous improvement of services through teamwork, empowerment, perseverance and innovation. Since 1984, Jodi Johnson has provided support for students with disabilities on the CSUN campus while serving in a variety of student assistant, staff and administrative positions. 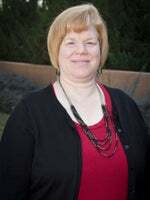 In her current role as director of DRES, she provides leadership and direction to the department while helping other campus entities understand their impact in providing an accessible and inviting campus for students with disabilities. Ms. Johnson earned her bachelor's degree in liberal studies at California State University, Northridge and her master’s degree in college student affairs at Azusa Pacific University. As a former CSUN student with a disability, Ms. Johnson is very acquainted with the struggles and triumphs of students with disabilities. Using her personal experiences, educational knowledge and professional skills, Ms. Johnson supports students in following their dreams, growing to overcome challenges and achieving their goals. Joaquin Marinez is the Assistant Director and is the lead for the disability management counseling staff at DRES. Joaquin has been with the DRES department for over fourteen years, holding a variety of roles from student assistant, alternative testing support assistant, and counselor. 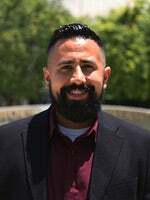 Mr. Marinez graduated with a bachelor’s degree in Psychology from CSUN and received his master’s degree in Educational Counseling from the University of La Verne. Joaquin particularly enjoys working with students on building skills to enhance personal, academic, and professional success. Which services are available for students with disabilities?